Enjoy a fabulous 3 Course Dinner each night of your stay! 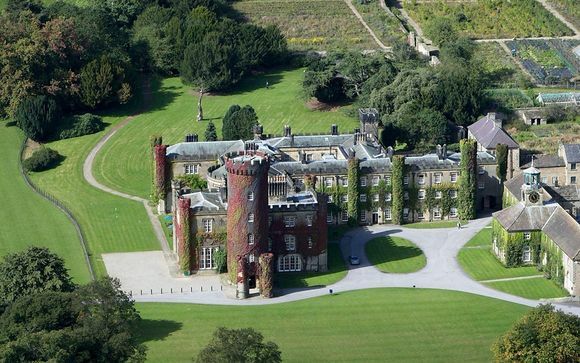 The Castle is set within the 20,000 acre Swinton Estate - this is one of the many attractions that sets Swinton Park apart from other country house hotels. The Estate stretches from the River Ure in Wensleydale up onto the moorland dales and hotel guests have access to a whole host of country pursuits that include fishing, golf, falconry, riding and shooting. The Yorkshire Dales scenery is outstanding, and there are many popular spots within a walk or a short drive. Swinton Bivouac is located on the Estate, just two miles from Swinton Park, close to the Druid’s Temple – a gothic ‘folly’ in the woods. Swinton Bivouac offers luxury camping in yurts and woodland shacks, along with a stylish café and shop. Ripon and its locality have many reasons to keep visitors interested and entertained, with an abundance of top class visitor attractions within a 10-mile radius to complement any visit to the City itself. These include the World Heritage site of Fountains Abbey and Studley Royal, Newby Hall, the 14th century Ripley Castle, a modern theme park at Lightwater Valley and the village of Masham with its two breweries. Ideally located to explore the Yorkshire Dales or even the North York Moors, there's always plenty to do in and around the city for the young or not so young! 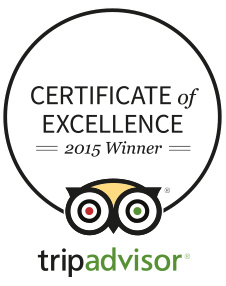 Ripon is therefore a great place to stay or visit whatever the season. Whatever the purpose of your visit; a weekend break, a daytrip with friends, or a family holiday, we hope you'll spend some time amid Ripon's ancient charms and discover all that this vibrant City has to offer. A luxury castle hotel in the Yorkshire Dales, with fine dining, cookery school, spa and extensive grounds. Owned by the Cunliffe-Lister family since the 1880s, and the ancestral seat of the Earl of Swinton, guests at the hotel enjoy an authentic stately home experience. 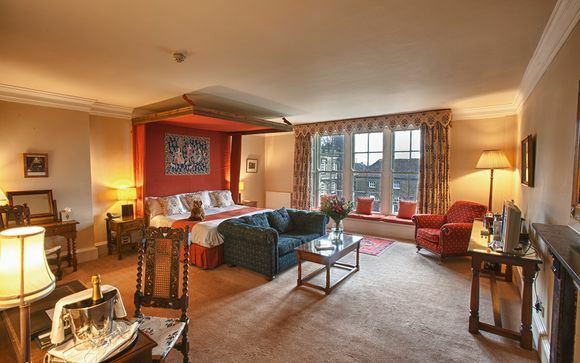 Rooms are furnished with antiques and family portraits, with the warmth and grandeur of a traditional English house. There is a sense throughout the castle of it being more of a lavish home than a hotel, with individually designed bedrooms, each with generously sized bathrooms and exceptional views. Needless to say, the standards of service are excellent – discreet but far from stuffy, and the hotel has enjoyed wide acclaim and many awards in recognition of this. Guests particularly enjoy the relaxed environment, and with the 200 acres of parkland surrounding the hotel, one can very quickly leave all worldly cares and worries behind. It’s the perfect romantic retreat. The location, close to the pretty market town of Masham and only 15 minutes from the A1, is deceptively convenient. Food plays a prominent role at the hotel – from the grass roots commitment to minimising food miles and the four acre kitchen garden, to the award winning restaurant, cookery school and Deerhouse Dining in the Parkland. Other luxuries include an exclusive use spa with six treatment rooms and a busy programme of events that run in the hotel and grounds throughout the year for families, garden lovers and walkers. The lakes, which were dug in the 1760s, are a glorious addition to the landscape, which is roamed by a herd of 100 or so unusually pale, almost ghostly fallow deer. Dukes Room. All rooms are on the first or second floor, with double or twin accommodation, and are equipped with direct telephone and modem points, CD player, flat screen TVs, trouser press, complimentary Raisthorpe Manor Sloe Gin and coffee/tea facilities. There is complimentary WiFi access throughout the hotel. Junior Suite. 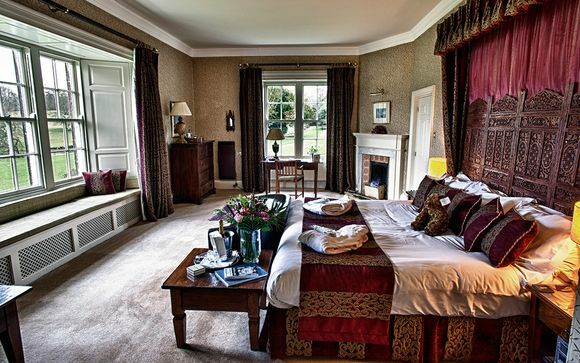 The Junior Suites offer a separate sitting room in addition to all the amenities of the Dukes Room and offer spectacular views over landscaped grounds or the Deer Park. Just for you: 1 x cream tea. If staying 3 nights, dinner on the third night upgraded to a 7-course taster menu. Executive Chef, Simon Crannage, enjoys an enviable reputation for the quality of the food served at Samuel’s, Swinton Park’s 3 AA rosette restaurant. Samuel’s was featured in The Sunday Times & Harden’s ‘Top 100 Restaurants of 2014 – The Best Places to Eat in the UK‘ and is also listed in Harden’s Guide as a ‘Top Scorer’. The restaurant has also been awarded membership of the esteemed Chaine de Rotisseurs association, while the hotel has been awarded membership of the Tea Guild, in recognition of its excellent quality of service and high standards. The Castle Menu offers a “brasserie” style of cuisine, a lighter and less formal style of cooking from Samuel’s Restaurant dinner menu. Breakfast is served in Samuel’s throughout the week from 7.30am until 10.00am. Weekday lunch bookings are available for parties of 8 or more, by prior arrangement. Served Monday – Saturday from 12noon until 5.00pm and on Sundays from 3.00 – 5.00pm in the Drawing Room, Library and Terrace. The Private Sitting Room can also be reserved for private groups. Served from 7.00pm until 9.30pm. Children under the age of 8 are not permitted to dine in Samuel’s in the evening. The Private Dining Room will be laid for family dining whenever available. Dress Code - A smart dress code applies when dining in Samuel’s restaurant. We ask that guests to not wear shorts, t-shirts, jeans, trainers and beachwear/shoes. A more relaxed dress code is in place for lunchtime bookings. Located within the castle at Swinton Park, amid 200 acres of tranquil landscaped grounds, few spas can boast such a glorious location. While the hotel do not actually offer massages in the woods, the Parkland offers the opportunity for a refreshing, mind-clearing stroll before and after treatments, as well as walking and running tracks for the more energetic. The spa has four treatment rooms, including a double treatment room and an exclusive-use relaxation lounge with sauna and cedar hot tub, where you can relax in total privacy (reservations essential).